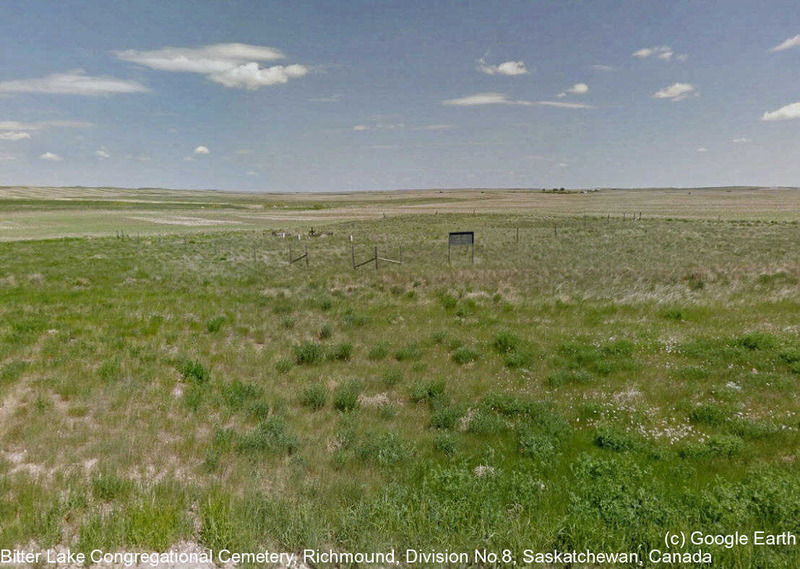 This plot known to some as the Hendrie Cemetery is located 12 miles west of Golden Prairie, Saskatchewan. Originally a German Congregational Church was organized at this location. In later years, it became the Good Hope United Church. The one acre plot is located in the southwest corner of SW 01-15-29-W3. The barbed wire fence had fallen down, the grass had not been cut in years and several of the grave markers required attention as per a site visit on October 11, 1996.